Finally, The Long Anticipated A Lange & Söhne Grand Complications. A Lange & Söhne’s stature ranks among the highest in the haute horlogerie world and one of the most requested complication from the Lange fans is a Minute Repeater. Despite having a comprehensive range of uber complications, Lange is well aware of this obvious gap in their range of exceptional timepieces. 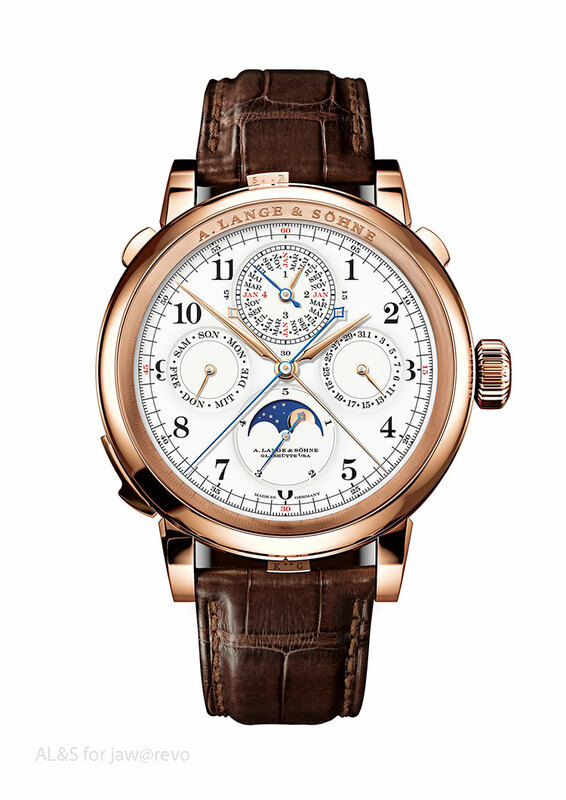 This year, The A Lange & Söhne Grand Complications not only encompass the long anticipated Minute repeater, a perpetual calendar, a split seconds chronograph and a foudroyante seconds but Lange has gone ahead with complications considered as the toughest challenge to even the best master watchmakers – The Grande Sonnerie and the Petite Sonnerie. With a beautifully designed enamel recessed dial, the watch is a true Lange bounds to please even the most critical Lange fans. While the design is proportionate and eye pleasing in every way and certainly wearable. At 50mm diameter, this is not a small watch and is certainly not thin. While I am really thrilled to be able to view the physically working watch at close distance, there isn’t an opportunity to hear the Grande Sonnerie, petite sonnerie or the minute repeater chimes. But after assurance from one of my most trusted personalities – Lange Uhren International Director Daniel Rogger, I am certain of the tonal quality from Lange will be nothing less than exceptional. Congratulations to Lange for an incredible timepiece! ps. By the way, if you have to ask for the price, you probably can’t afford it.